1. Whisk curd until smooth in texture. 2. Add Jeera powder and sendha namak. Mix it well. 3. Now, add tomatoes, boiled potatoes and fresh coriander leaves. 5. Garnish it with jeera powder, chilli powder and coriander leaves. 1. 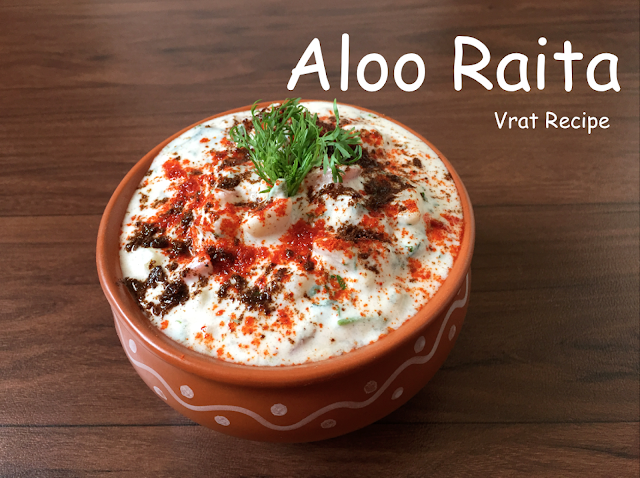 You can add a little water if you want the raita to be of flowing consistency. 2. Normal salt or black salt can be used instead of Sendha namak if it is not prepared for fasting.